So you’ve saved for months to splurge on a restaurant. Maybe you’re on a tight budget or you’ve finally hired a sitter to watch your kids. Whatever the reason, you yearn for a meal unlike any other. First: Don’t stress. Even if you don’t know what a soup spoon is or haven’t donned a tie in years, realize that even the highest-end restaurants are pretty unintimidating these days. “The days of being judged, dress codes, [being served by] three different people — that really doesn’t exist. It’s much more open now. You see chefs in your living room, on the Food Network,” says John Winterman, managing partner at New York City’s Bâtard and a longtime maître d’ for Michelin-starred chef Daniel Boulud. Here’s how to ensure that your experience will be memorable, even if you’re not a VIP. 1. Pick up the phone. Don’t book online. Reserving online is convenient, but you miss a human element. A study found it takes 50 hours just to become casual friends — but you can make the time. “As opposed to what the world might tell us, humans are better than reservation systems. Tell us about your occasion,” says Carrie Adams, general manager at the Table at Season to Taste in Cambridge. In a call, you can elaborate on dietary preferences, ask questions about parking, or negotiate a preferred reservation time that might not show up online. 2. Contact restaurants before 5 p.m. Your best chance for scoring a top reservation happens between 2 p.m. and 5 p.m., when reservationists have time to chat. Restaurants begin to welcome customers after 5 p.m., so a staffer might be distracted or struggling to hear you in a noisy room. If you call in the afternoon, a manager or reservationist has more time to answer questions or take notes with your requests, says Adams. 3. If you can’t book regularly, at least book early. When creating his meticulous seating charts, legendary former L’Espalier host Louis Risoli always took into account how far in advance a guest requested a reservation, weighing it along with name recognition and frequent-diner status. “If someone made [a reservation] six months in advance, we’ll know that. And I would say, ‘Wow. This must be really important,’ ” he says. 4. Dine on Tuesdays. Food is often fresher, and the pace is often slower. Many chefs are off on Sunday and Monday nights. And avoid Saturdays if you want a leisurely meal, he says. 5. Phrase your requests properly. Want a corner booth? A window seat? 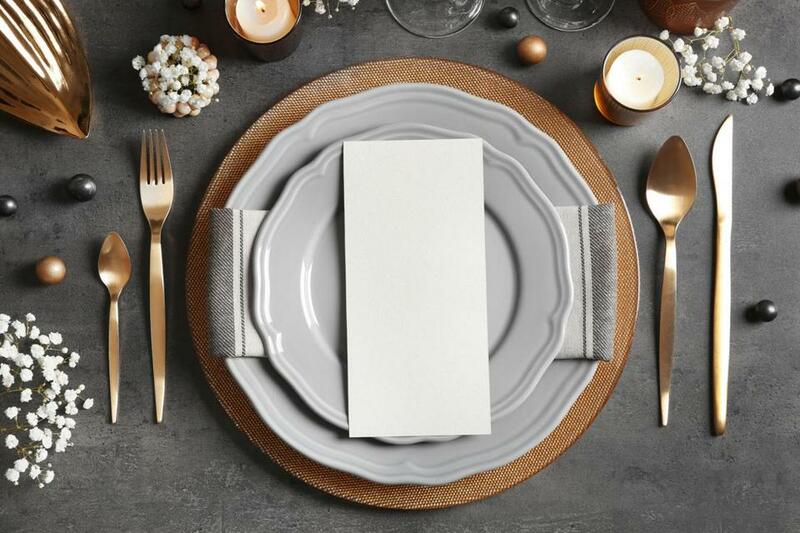 A high-end restaurant is accustomed to fielding demands from regular guests — some of whom might be emphatic in their whims — so make your request for a favored table stand out with diplomatic phrasing. 6. Tell your server why you chose their restaurant. Did your best friend’s son who just so happens to be a bartender suggest this place? First-time diners often receive their recommendations from an acquaintance in the business, says Draghi. No shame in it: If someone sent you in, mention their name. “Even if it’s not someone the chef knows, even if it’s someone from, say, Coppa, you’ll get some kind of bump up in status. It’s a good way to start. The waiter will come to the chef and tell them,” he says. Basically, don’t be afraid to name drop. 7. Ask objective questions. When deciding what to order, don’t ask the server for his or her favorite menu items. These people need to make money, after all, and some will simply name the most expensive dish on the list, insiders say. Instead of risking a sell, ask a more objective question: “What do you have the best luck with? What’s the most popular item?” suggests Heilmann. 8. Weave personal details into the banter with your server. In town for parents’ day at college? Have a favorite wine? Mention it. This will make you memorable, and servers will then convey those details to a manager for future note in their reservation system. “The server will not cross the line or ask personal questions. They won’t ask for your name unless they feel a level of comfort, and that will get directed by a guest themselves. That will help [your name] stick,” says Abe & Louie’s Heilmann. On a future visit, you might find yourself with a complimentary pour of your favorite drink or a treat from the chef. 9. Be strategically indecisive. If you’re waffling between two dishes, say so. A perceptive server might send out a tasting of your second choice, simply so you can experience it, says longtime Mistral server Natalie Nesler. On the same note, if you’re not ready to commit to a full dish, ask to split it. The point is to be transparent about your preference with your server. “Having a good relationship with a server will make you memorable” and possibly earn you tastings from the kitchen, she says. 10. Say what you want to spend. Don’t be ashamed! Tell a server how much you’re prepared to spend, says the Table’s Adams. “That’s how I navigate when I go out to eat! More experienced diners and industry people do this. It’s not weird. People who are inexperienced think they’re crossing a line, when they’re not. Really, you’ll fit in more,” she says. Right away, a server will be able to make targeted suggestions without blowing your budget. 11. Ask to talk to the chef. Often, guests feel ashamed or silly asking questions and don’t want to bother a chef. And while endless modification requests get annoying, questions about meal preparation are welcome, says Erbaluce’s Draghi. “If a question comes from the dining room, we get excited by that,” says Draghi. “I wouldn’t feel stupid asking a question about electricity from a PhD in the subject,” so diners shouldn’t feel silly asking questions from a professional, he says. In fact, a kitchen might send out a portion of the mystery item for you to taste — something Google can’t do. Finally, if you’re not sure where to dine, either locally or while traveling, reach out to professionals with a trusted track record for suggestions, urges Bâtard’s Winterman. Contact a food or travel journalist you admire or send a note to your favorite food blog. Don’t solely rely on anonymous review sites, he says. “Read local blogs. Contact local writers,” he suggests. They won’t mind at all. Trust me.